Just because an expectant mother can't partake in drinking alcoholic beverages doesn't mean she doesn't want to enjoy the occasional mocktail to celebrate. With Cinco de Mayo just around the corner a margarita sure sounds nice, but minus the tequilla of course! A few months ago I bought a fantastic mocktail book - "Preggatini's-Mixology for the Mom-to-be" and started making a few of the recipes recently. The first I made was this Mamarita recipe for my sister-in-laws baby shower which had a Mexican food theme. There was no need for the two of us to just drink water while everyone else was enjoying a margarita! Sure, there was lemonade, but for anyone else that's pregnant or has ever been - you get burnt out on lemonade REAL quick!! While I prefer a real margarita, this was a good substitute to calm my craving for a few more months. It is pretty sweet so it's not something I'll make on a regular basis, but I'll definitely be making it again for Cinco de Mayo! And, who knows- maybe this weather will pick a temperature to stick with and one day I may try this out frozen to see how that tastes! Probably 95% of the recipes in the book are individual serving size recipes but they're all easy to multiply to get as many servings as you desire. Plus, another great thing about the book is that many of the recipes give tips on how to "de-virginize" the drink for dad and others not with child! 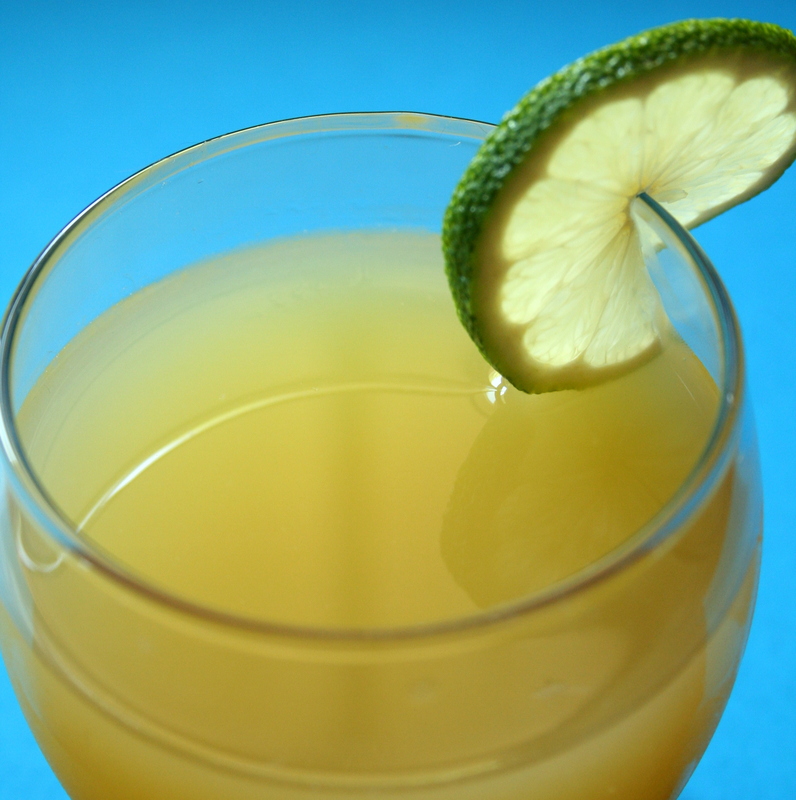 Stir agave nectar and lemon juice in the bottom of a mixing bowl until nectar dissolves. Add OJ, limeade, ice and shake vigorously. Strain into the maragrita glass and serve with a lime wheel on the rim. To make larger quantities, just multiply the ingredients by the number of servings desired. Instead of shaking to mix, just stir vigorously. Serve with or without ice.